A new spin on pasta night! We all have those nights during the week where we barely have time to boil water let alone chop vegetables. Kids have sports practice, I have yoga classes to teach, homework needs done and the dogs need walked. On those particular crazy, busy nights I rely on dishes like this one. 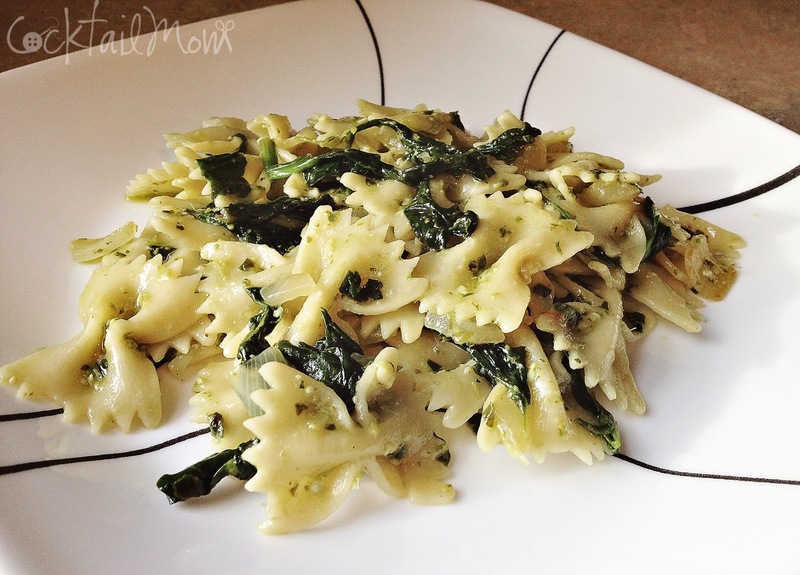 Simply boil pasta and in a saucepan sauté onions and spinach. After draining cooked pasta, mix onions and spinach with pre-made pesto sauce. I buy mine from Costco and it tastes fantastic, a little goes a really long way! Love this!! We do exactly the same dish, with zucchini instead of spinach - you can shred the zucchini really fast! My guys eat it up!